Frankfurt-based Jettainer is managing the temperature controlled air freight container services on behalf of Lufthansa Cargo. The deal, inked by both sides, was announced at a meeting in Berlin. It could trigger similar agreements between ULD manager Jettainer and other airlines. 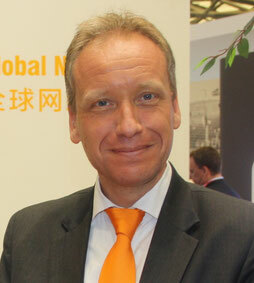 The new offering “is a highly attractive topic not only for our client Lufthansa Cargo but for any airline,” stated Carsten Hernig, MD of Jettainer, at a press conference on the fringes of the German Logistic Summit (DLK) in Berlin. He pointed out that the demand for temperature controlled air freight is rapidly increasing, as are the customer’s expectations for further enhancements of the supply chain, including air transports. 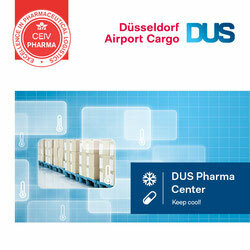 Pharmaceuticals like vaccines or other biochemical products cannot be transported like ordinary freight, but need to be stored at constant temperatures. It is a booming but also risky business for carriers, as it requires the cooperation of different agencies, handlers and transport companies. In addition, only certain types of unit load devices (ULD) are allowed for such transports. “Quality problems could not only have serious financial repercussions but would also lead to a loss of reputation (…) That is why we are constantly improving our services and are confident to further expand our business in this sector,” manager Hernig notes. It is exactly this challenge Jettainer is convinced to master by offering customers tailored solutions. This is acknowledged by parent company Lufthansa Cargo: “Our customers have a zero-tolerance towards mistakes. And that is why we are entrusting Jettainer with this task”, Marcus Bezold, Global Handling Performance Manager at Lufthansa Cargo said. 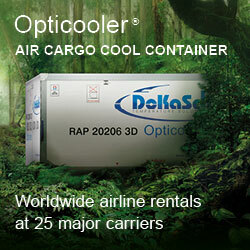 “The new Jettainer services help us to significantly reduce holding times for cooling containers. This will have a tremendous impact on our efforts to cut costs,” Marcus added. After having acquired the first client for their cool business, Jettainer will open a new Centre of Excellence for such shipments in Abu Dhabi. By that way, the ULD management company wants to meet the demand for such services by Etihad Airways, one out of a total of 24 mandate airlines standing in Jettainer’s books in markets like Middle East and Africa. Their Abu Dhabi-based specialized team is seen by the ULD manager as a knowledge base to improve efficiency even further. Further to this, the ULD manager announced that it has installed geo-tracking devices on some of its units, and is testing new appliances that allow the constant monitoring of temperature or vibrations in order to better protect the cargo. It is not only developing digital solutions, like the use of artificial intelligence for predictive provision of ULDs, but also advancing towards smart and innovative hardware in order to cut their customer’s costs. A new lightweight ULD is under construction as well as customized “smart” containers with sophisticated hard- and software. According to their forecast, Jettainer expects an annual growth rate of around 10 percent in 2017, a large part of it due to expanding business with its existing customers. New clients are Oman Air and Brussels Airlines who have signed up for Jettainer’s services in 2017.